Your vehicles brakes should be inspected during every oil change. As the brake pads wear down, from normal braking, they will need to be replaced and the rotors will need to be machined to a fine surface. Occasionally, brakes need repairs before normal wear intervals. By paying close attention to how your brakes feel, and sound you can catch a premature failure before it becomes a problem. Your transmission fluid should be flushed at least every 30k miles to remove harmful varnish and sludge from the transmission’s valve body, torque converter and fluid lines. Replacing transmission fluid regularly will extend the life of the transmission. Your air conditioning system uses a gas, known as freon, to reduce the air temperature in your car. This system should be checked for leaks, and thoroughly inspected at least once a year. Your radiator is part of the cooling system that regulates the engine operating temperature. It should be visually inspected for leaks, corrosion and external damage during every oil change. Before you go on a long road trip you should have your car inspected to help keep you safe and on the road. Before buying a car, its a good idea to have it inspected as well. 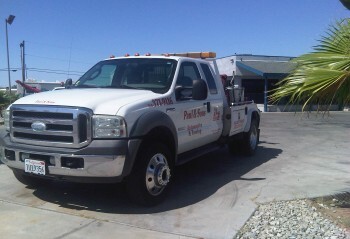 We can take care of your car, so your car can take care of you. Clean carbon build up from fuel injectors, intake manifold, ports, intake valves and combustion chamber and replace fuel filter. This will restore power and performance while helping reduce harmful exhaust emissions and increase fuel mileage. Clean corrosion deposits from battery terminals and cable ends. Install corrosion reduction kit. Flush cooling system: radiator, engine block, heater core etc. Replace thermostat and refill with proper coolant mixture. Pressure test system for leaks and inspect radiator cap. Hydraulically flush old, oxidized and contaminated brake fluid, removing moisture, condensation, and air from the brake system. Replace with de-moisturized, high-temperature hydraulic brake fluid designed to prevent expensive mechanical failure. Remove old, worn-out fluid, sludge and refill with new, high-quality fluids. Remove harmful varnish and sludge from the transmission’s valve body, torque converter and fluid lines. Remove all old, broken-down and burnt fluid. Replace transmission filter and install new fluid Replacing transmission fluid regularly will help extend the life of the transmission. Shocks – How long do they last? Shocks typically should be replaced every 40k to 50k miles. It is not uncommon for shocks to fail before they reach 50k miles. They are a very important piece in the steering and suspension systems; without proper shock performance, tires will wear quickly and vehicle handling will be drastically reduced. Springs Vs Shocks – whats the deal? When a vehicle hits a bump or an irregularity on the road surface, the job of the springs in the suspension system is to lessen the impact of a bump to the body/frame and passengers.The springs also bring the tires back in quick contact with the road surface after being bounced up in the air by a bump. The job of the shock absorbers is to dampen the springs — to help still them after they have done their job going over a bump. The Car Care Council points out that on a rough, winding road the driver of a car with worn shocks is in danger of losing control. Weak shocks permit excessive rebound of the wheels, allowing them to become airborne. During this brief period that the tires are in the air, they lose contact with the road surface — and steering and braking control can be lost. If shocks and struts were like tires or windshield wipers, you would immediately know when they’d gone bad. But they’re not. Maintenance is preventive in nature. The idea behind changing operating fluids such as engine oil, coolant, gearbox oil, differential oil and brake fluid, for example is to prevent the need for premature repairs. Replacement of consumable parts such as brake pads, brake rotors, wiper blades, filters, bulbs etc also comes under the head of maintenance.Repair work is completely different. A repair is necessitated by a parts failure of some kind. If you keep up on your regular interval maintenance you will reduce the expense on repairs. Brake pads should be inspected during every oil change. When they reach a minimum thickness, they should be replaced. Always use quality pads when its time to get your brakes done. Brake rotors are the surface that the brake pads press against to stop your vehicle. They get very hot during braking periods. They should be inspected for proper surfacing and heat damage during oil changes. Brake calipers hold the brake pads in position so when the brakes are applied, the brake pads contact the brake rotor properly, and bring your vehicle to a stop. Brake calipers are inspected during brake inspections. Call today to schedule, or schedule here on our site.